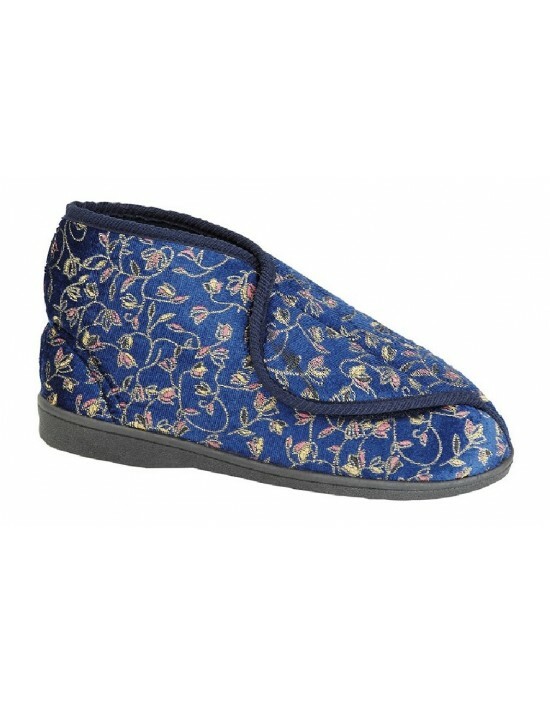 Comfylux, Blue Floral Print Nylon, Textile. FREE Delivery! 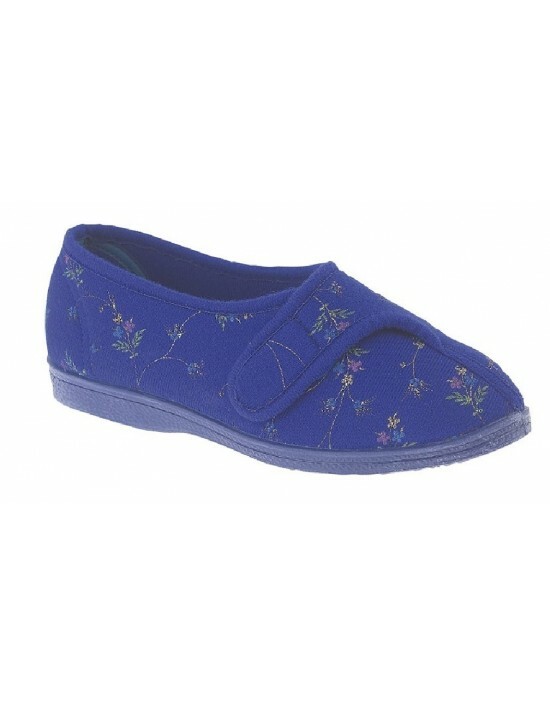 Sleepers, Navy Blue Floral Cotton, Textile.Velcro Fastening V Opening. FREE Delivery! 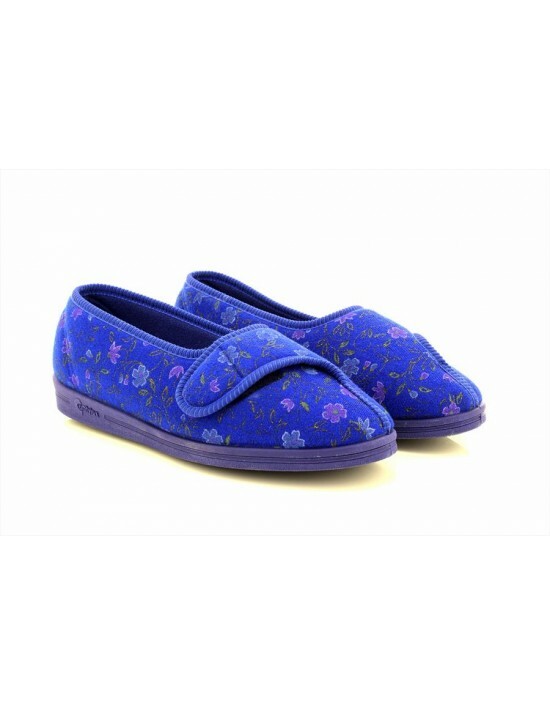 Sleepers, Navy Blue & Wine Floral Nylon, Textile.Washable. FREE Delivery! 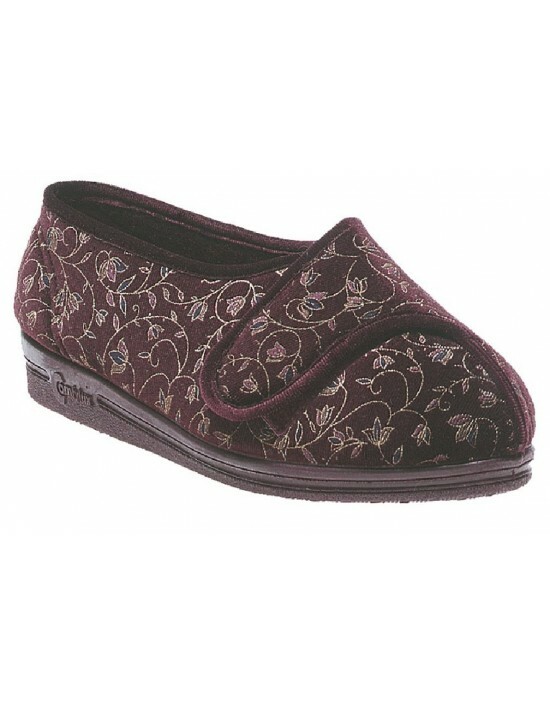 Comfortable Slippers are just what we all need.These Soft Comfy Velcro Washable Nylon Slippers are ideal for home or hospital. FREE Delivery! Sleepers, Brown/Tan & Blue/Navy Synth.Suede, Textile. 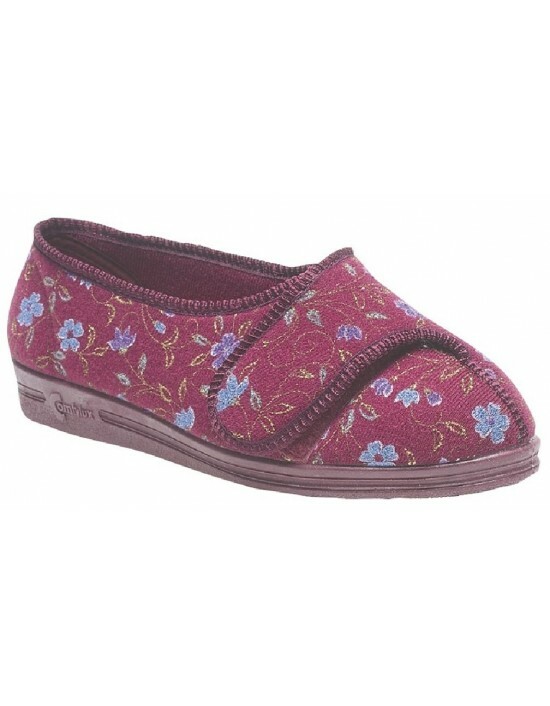 Quality Slippers.FREE Delivery! 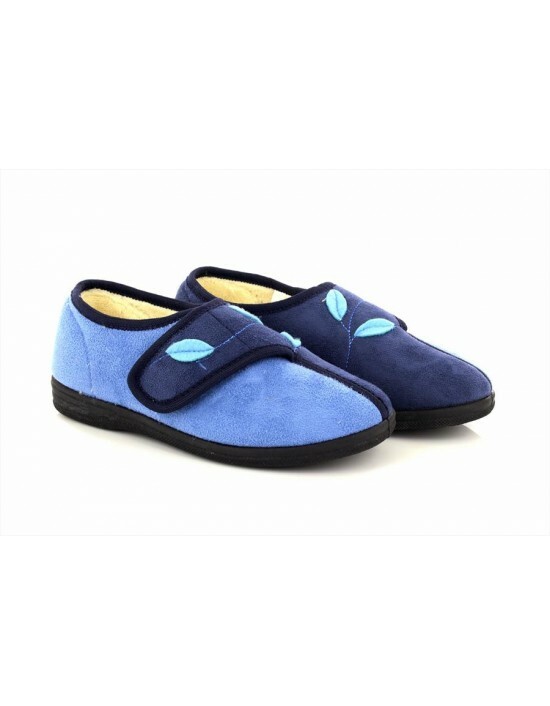 Sleepers, Heather & Navy Blue Velour, Textile.Warm Indoor Slippers. FREE Delivery!